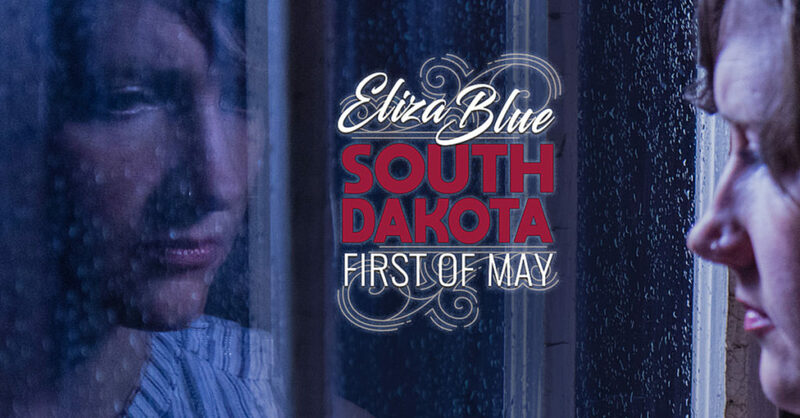 Folk singer-songwriter and multi-instrumentalist, Eliza Blue, debuts her third album, “South Dakota, 1st of May,” with an album release concert at The Matthews Opera House, 7:30 p.m., Saturday, July, 7. Tickets are on sale now for $25 — all seats. This album was recorded at producer Billy Talbot‘s (bassist for Neil Young’s band, Crazy Horse) private studio on his South Dakota ranch. With the help of fellow musician and co-producer, Jack Hughes, the album explores themes of loss, longing, and the quest for spring. After five years of near-constant performing and touring, Eliza Blue abruptly left her life in Minneapolis and moved to Perkins County in western South Dakota, one of the most remote counties in the contiguous United States. Blue was writing and working on a cattle ranch, when fate intervened in the form of Billy Talbot, who, after years of touring with Neil Young, was also pursuing a different lifestyle on a nearby ranch. Talbot offered the use of his private studio, then brought Jack Hughes on board as the sound engineer and co-producer. The result is a stunning collaboration that draws on the extensive journal entries Blue kept during that time. Eliza will perform with Justin Seim, Jake Jackson, Jami Lynn, and Jack Hughes. Eliza Blue is a folk-singer, songwriter, and multi-instrumentalist. In addition to her solo work, Eliza also performs as half of the folk duo, “The Nesters,” with fellow songwriter and banjoist, Jami Lynn. She is a regular contributor to South Dakota Public Broadcasting with her monthly, “Postcards from the Prairie.” Blue has performed and recorded with luminaries like Billy Bragg, Roma di Luna, Charlie Parr, and Chastity Brown just to name a few. Other highlights include performances at SXSW, CMJ, and Sioux River Folk Fest, as well as a slot this summer at Red Ants Pants Music Festival. After being an urbanite for most of her life, Eliza currently resides in South Dakota, with her sweetheart and their two children, herding sheep, raising chickens, and playing music. This entry was posted	on Friday, May 4th, 2018 at 10:07 am	and is filed under Live Entertainment, News & Blog, Past Live Shows. You can follow any responses to this entry through the RSS 2.0 feed. Both comments and pings are currently closed.